With so many readers expecting short blogs readable on smartphones these days, it is not surprising that a limited number of my numerous Facebook friends have the patience to read deep-diving explanations of why they have swallowed the rumor that Hitler and the Nazis or others called “fascists” were indistinguishable from Communists and other advocates of “progress.” Still, I promised to deliver something that serious readers would find digestible. 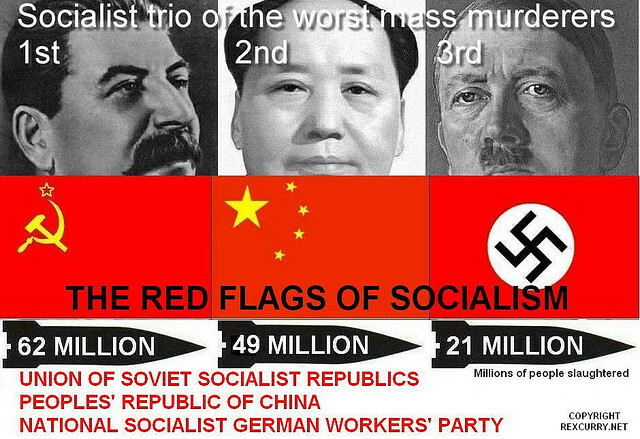 First, it is well known that communist historians in America have often blamed “Republicans” for Nazism.It is understandable that many conservatives, waylaid by the term “National Socialism” would return the favor by pouncing on the word “Socialism,” without deciphering its meaning to Germans. “43. Spengler, O. Preussentum und Sozialismus. Muenchen: Beck, 1920. Second, many rightists swear by Jonah Goldberg’s best-seller Liberal Fascism. I read the book twice and blogged about its slant and deficiencies here: https://clarespark.com/2010/03/10/jonah-goldbergs-liberal-fascism-part-one/. No historian or major intellectual takes this book seriously. It does feed into the misconception fostered by ardent anticommunists that it is proper and appropriate to paint the Hitler moustache upon any progressive, particularly those that were interested in social hygiene and public health, as Hitler really was, though in the context of Aryan superiority and “the People’s Community” (the Volk) I suspect that there is a strong misogynistic element motivating Goldberg and his followers, especially with their insistence that the welfare state is better described as the “nanny state.” Or perhaps there is less misogyny here than bitterness over the departure of the patriarchal father in the home, disciplining children and allocating family resources: a process that has been going on since the rise of industrialism and the rise of “the moral mother.” (See https://clarespark.com/2012/02/25/moral-atheists/, and https://clarespark.com/2009/10/23/murdered-by-the-mob-moral-mothers-and-symbolist-poets/. Third, although virtually all historians agree that the populist/anti-bourgeois S.A., one obstreperous faction of the new Nazi party, was finished by June 30, 1934 (the Night of the Long Knives), one recent scholar agrees that a minimal socialist element persisted throughout the Nazi regime (see Robert O. Paxton’s The Anatomy of Fascism for this judgment, that I have not seen duplicated elsewhere in the English language, though in his earlier book The Racial State, co-written with Wolfgang Wipperman, he makes no such claim). For my rundown of Paxton’s most recent book, see https://clarespark.com/2014/11/13/the-anatomy-of-fascism-robert-paxtons-analysis/. Finally, rightist culture warriors have spread the inflammatory myth that the refugee scholars of Jewish descent (the Frankfurters fleeing Nazism, who unsuccessfully attempted to fuse Marx and Freud) have turned the heads of the American electorate, propagating the notion of political correctness. I find this particularly infuriating and even likely to be antisemitic. See one of many blogs on this subject: https://clarespark.com/2011/10/21/did-frankfurters-kill-the-white-christian-west/. Rather, it was the early Progressive movement, all Christians by the way, who invented identity politics; i.e. “ethnic” or hyphenated American identity would suffocate “proletarian internationalism.” Later, to mollify and co-opt the social movements of the 1960s, similar elitist statists deployed the crypto-racism of “multiculturalism” and “cultural relativism” to quiet the new “extremists” (some of whom did sympathize with the Old Left, especially Leninist anti-imperialism). I can understand that many conservatives remain hung up on anticommunism and continue to defend Joe McCarthy, for major scholars have examined the briefly opened Soviet archives after 1989, and found that many of McCarthy’s claims were based in fact. But these same scholars have also documented the fall of the KGB and the sharply dwindling communist movement in America. I refer to Mark Kramer, Harvey Klehr, John Earl Haynes, and Ron Radosh, to name a few. None would deny that Hitler’s task, as patronized by German conservatives, was to destroy the independent working class movement and its inspiration, the Soviet Union. 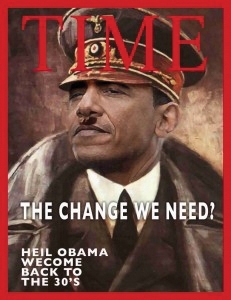 To imagine that Hitler was “really” a communist/Socialist, is to weaken the argument against the increasing statism demonstrated by the Obama administration. As Paxton and his inspiration Martin Broszat, convincingly demonstrate, Leader, Party, State, and sub-agencies (such as the SS) were in constant conflict during the Third Reich. Earlier scholars failed to see that the State was up for grabs during the Third Reich, partly because of sequestered documents. Ironically, where conservative have ammunition linking “socially responsible capitalists” to Nazism, they fail to use it. For instance, to my knowledge, only I have uncovered ignore the important role that New Deal-affiliated social psychologists played in mind-management during the late 1930s and early 1940s: if you want to dig up scandals, this one is a dilly, for such luminaries as Henry A. Murray, Gordon Allport, and Walter Langer consciously adopted Hitlerian methods of controlling the little people (the mob or “the people, untrained to rule”) they held responsible for Nazism. (See https://clarespark.com/2011/03/27/progressive-mind-managers-ca-1941-42/, and https://clarespark.com/2009/12/13/klara-hitlers-son-and-jewish-blood/. Henry A. Murray argued that Jewish blood would explain Hitler’s success in fooling other world leaders. It is a misconception to think that a person’s views toward individual Jews tests their antisemitic views one way or another. 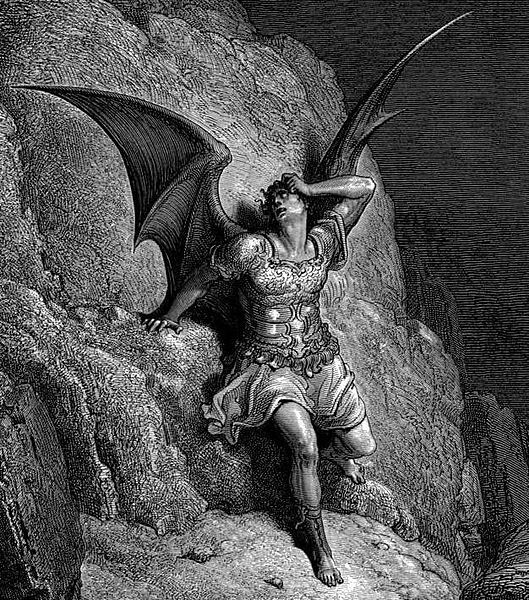 A-S is above all, a theory of history, most recently a reaction to the “disruptive” effects of modernity, and an identification of the source of Evil. 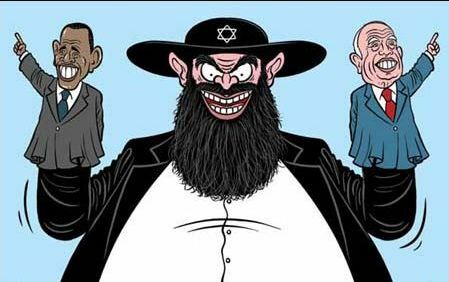 Most or all antisemitism is racist, for no matter how assimilated a person of Jewish descent may be, that person retains mental, physical, and moral attributes attributed to “the Jews” considered as a collective entity. Of these, none is more pernicious than the notion that all “Jews” partake of the Old Testament God as read by non-Jews, most famously by Voltaire (whose admirers were possibly angrier at Christianity, the offshoot of Judaism). That deity is domineering, militaristic, and genocidal, looking out solely for his “Chosen People.” One would think that such a powerful set of misconceptions would be corrected in the schools and in the mass media, but no. For in a highly populated globe, the masses must be controlled, and there is no more potent poison, directing popular anger away from abusive elites, than antisemitism: our innermost desires for truth, for a relatively accurate inventory of our past, is stigmatized as disintegrating to “the family.” So despite occasional hand-wringing over “the Holocaust,” antisemitism is still poorly, even crudely, understood by most, if not all, trained intellectuals. 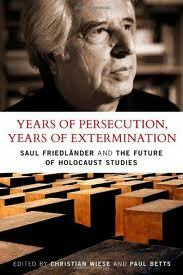 Historian Saul Friedländer gave a lecture at Vanderbilt University, November 5, 2007, that aroused the objection on one of my discussion groups (the history of antisemitism, a group on Humanities Net): one member complained that too much emphasis was placed on the centrality of Jewish extermination to the conduct of the second world war as managed by the Third Reich. This essay attempts to clear up an understandable confusion. As Europeanist historians are aware, Friedländer and the late Martin Broszat had a very public argument in the 1980s over whether or not the final solution was or was not an indirect consequence of dispersed bureaucratic decision-making as opposed to the obsessive intent of Hitler and his closest lieutenants. There was also in this argument a debate over the “uniqueness” of the Holocaust, compared with other genocides. UCLA professor Peter Baldwin reproduces their correspondence in his Reworking the Past: Hitler, the Holocaust, and the Historians’ Debate, edited with an introduction (Beacon Press, 1990). This argument is now commonly characterized as the intentionalist versus functionalist debate. Near the beginning of his talk, Friedländer breaks away from his notes to describe some of his beef with Broszat, but only mentions, fascinatingly, that Broszat, like some other historians of note, did not think that the testimony of the victims (ostensibly a Jewish myth) should be part of the writing of an “objective” history of the final solution. One of the features of Friedländer’s two volumes is the inclusion of victim diaries (and their recovery is a story in itself), and these voices from the dead not only powerfully remove the Holocaust from the realm of depersonalized abstraction, but reveal what Friedländer describes as an important internal contradiction in some of their writing: a belief that their death is imminent, combined with plans for the future; in short, a degree of denial. This denial, that things are not as bad as they appear to be, is to be part of my comments below.